Aquadog Vitaldrink is a top-grade liquid veterinary preparation that significantly improves your dog’s immune system and overall vitality. WHY IS AQUADOG SO UNIQUE? Unique crystal clear water plays an essential part in Aquadog’s composition. 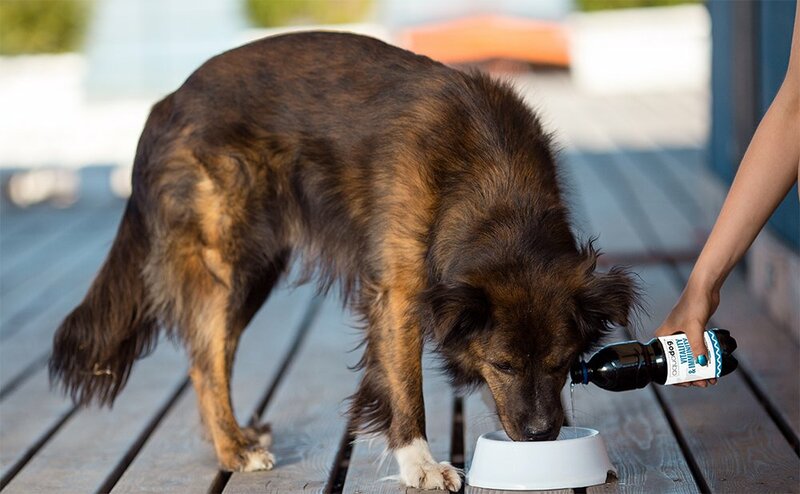 Thanks to its balanced features, Aquadog is easier on the digestive system and internal organs than regular tap water and this makes it an ideal drink for your dog to enjoy on a daily basis. 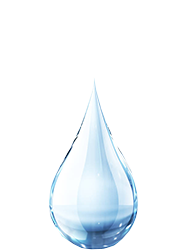 Our top quality water is sourced from the Carpathian Mountains in the heart of Europe. It has an optimal mineral content and is slightly alkaline. It contains a balanced mix of minerals, suitable levels of calcium, magnesium and potassium and low levels of sodium and salt. Aquadog does not contain chlorine and is not chemically treated. Long-term use of Aquadog promotes a well-balanced mineral intake and contributes to a stable internal environment of your dog. Calcium is important for healthy teeth and bones as well as other vital biological processes. Magnesium maintains proper heart function, keeps bones strong and supports a healthy nervous system. Potassium is especially necessary for good nerve function, muscle and water metabolism. Low doses of sodium are important for proper physiological functioning. Sodium also occurs naturally in extracellular fluid. BAP®-8 is a unique natural substance, a complex of biologically active polysaccharides. The key source ingredient for obtaining the BAP®-8 substance is Pleurotus ostreatus, commonly known as the oyster mushroom. This mushroom contains various beneficial substances and one of the most active glucans, the Beta-1,3/1,6-D-Glucan. This glucan occurs abundantly in the mushroom extract and is proven to have a strong biological effect. During long-term use, it acts as a powerful immunostimulant and boosts the body’s natural defense mechanisms. This active immunostimulatory substance has an immunomodulatory effect and is capable of enhanced activation of the immune system of animals. Thanks to our unique manufacturing process, pure active substance isolation is consistent and yields only the highest quality product. The BAP®-8 manufacturing process is standardized and patented. Upon oral ingestion of Aquadog Vitaldrink, the BAP®-8 active substance reaches the small intestine in its unaltered form and activates immunocompetent cells in the Peyer's patches located on the inner intestinal wall. Thanks to the active substance, a domino reaction occurs which activates the cells of the immune system, mainly macrophages (which ingest harmful foreign particles), neutrophils and NK cells (natural killer cells). These cells play a vital role in starting and sustaining the immune response, a process which disposes the body of harmful microorganisms and foreign substances that can cause bacterial, viral, mycotic and parasitic infections. Molecules of the BAP®-8 active substance are able to activate various types of cells such as skin cells (keratinocytes) and connective tissue cells (fibroblasts). 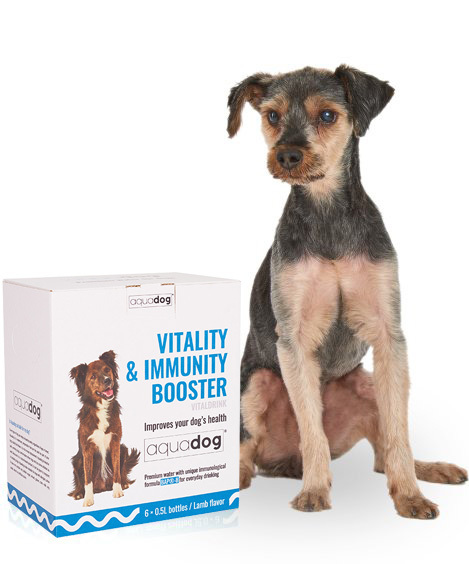 Aquadog increases the intensity of immune responses and accelerates specific antibody production after vaccination. It also enhances disease resistance of the dog's organism, strengthens the body’s natural defenses after bacterial or viral infection and after repeated antibiotic use. Thanks to faster healing the body also eliminates secondary infections after injuries, ulcer treatment and surgery. Aquadog has a supplementary effect during the treatment of oncological diseases. Long-term use keeps an optimally balanced level of good and bad cholesterol and has an antioxidative, anti-inflammatory and antiallergic effect. It also improves neuromuscular transmission and supports proper function of the musculoskeletal system. 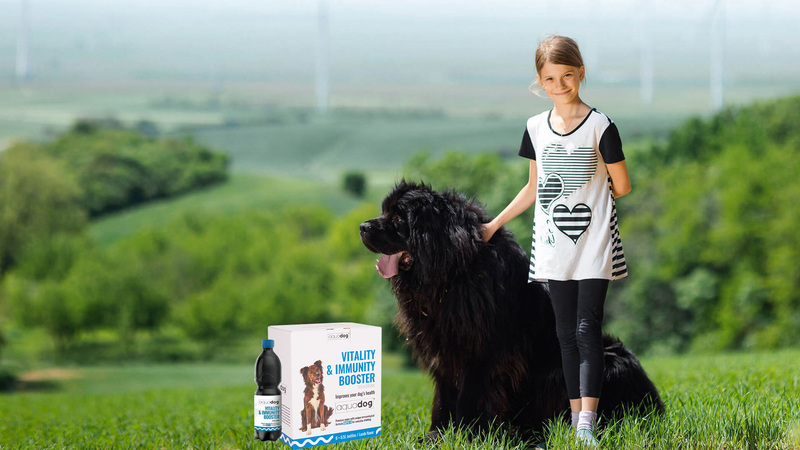 The unique mix of minerals contained in Aquadog Vitaldrink alleviates problems caused by osteoarthritis and dental caries and improves digestion and metabolism. It also prevents free radical damage and fights oxidative stress during increased physical load and overall fatigue. The added lamb flavor in our high-quality water supports adequate hydration and promotes healthy kidneys. Significantly improves your dog’s immune system and overall vitality. Neutralizes harmful microorganisms and foreign substances. Our water is sourced from a crystal-clear spring in the Carpathian Mountains. Ideal for pets, working dogs, show dogs and top canine athletes as well. Upon oral ingestion of Aquadog Vitaldrink, the BAP®-8 active substance reaches the small intestine in its unaltered form and activates immunocompetent cells in the Peyer's patches located on the inner intestinal wall. Thanks to the active substance, a chain reaction occurs which then activates various cells of the immune system, mainly macrophages (which ingest harmful foreign particles), neutrophils and NK cells (natural killer cells). 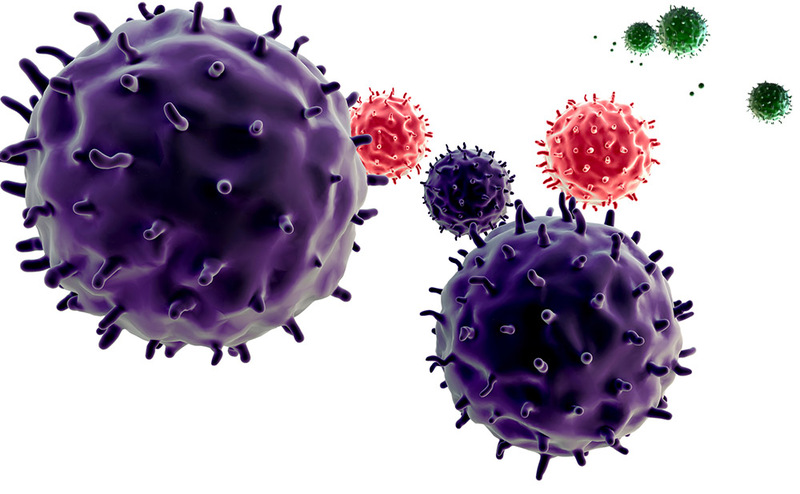 These cells play a vital role in starting and sustaining the immune response, a process which disposes the body of harmful microorganisms and foreign substances that can cause bacterial, viral, mycotic and parasitic infections. Is Aquadog suitable for my dog? Every type of dog can enjoy Aquadog Vitaldrink safely, regardless of age or breed. It is a nutritional supplement which can be used as part of your dog’s daily fluid intake. It is not a meal replacement. Aquadog is ideal for pets, working dogs, conformation show dogs and top canine athletes as well. Because it is a nature-based product, it can be given to pregnant or lactating dogs. It is also suitable for dogs with allergies, since it does not contain any added sugar, wheat, gluten, corn, milk, soy, yeast, starch or artificial colors. It is not advised to use Aquadog simultaneously with immunosuppressive drugs. What dog owners say about Aquadog? Our Rhodesian Ridgeback had several patchy areas on his entire back and sides and was suffering from hair loss. After a week of regular and intensive use of Aquadog Vitaldrink, his hair started to grow back in these areas. Today, his coat is perfect again. We’ve been using Aquadog for almost three weeks now. My Great Dane had a rash around his mouth and chin caused by wrong dog food. He was given hypoallergenic dog food and the problems disappeared. After eating regular dog food again, the rash reappeared, but when he was given Aquadog he was cured completely, despite eating his regular food. Our Cocker Spaniel is usually tired after hunting in the afternoon, but when we gave him Aquadog, he had at least 50% more energy. I also gave him Aquadog the day before we went hunting and later during the hunt. His endurance and vitality were exceptional. Aquadog is looking for potential distributors. ©2019 AQUADOG MINERAL WATER LTD. All rights reserved. Aquadog is a top-grade liquid veterinary preparation that significantly improves your dog’s immune system and overall vitality.